In an interview with Wealth Professional, Angus Watt, CEO and partner of Angus Watt Advisory Group in Edmonton, confirms that the good economic news for the Alberta economy is now being felt in its wealth advisory firms. "Have you seen downtown Calgary lately?" asks Watt. "There are seven major buildings under construction, another four or five in Edmonton including a hockey rink. 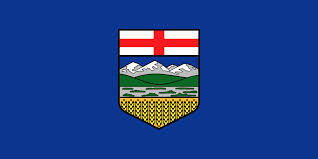 Within the investment advisory industry Edmonton and Calgary are some of the strongest offices." He notes the provincial economy is firing on all cylinders. Recent data out this week backs up his boast. RBC Economics released a report Wednesday suggesting Alberta is in "a class by itself” and predicted the economy will enjoy real GDP growth of 3.7 per cent this year. BMO Economics released a report Tuesday pointing out the province with just 11% of the Canadian population managed to add 71,200 jobs, far more than the 14,300 in the rest of the country. Watt is saying much the same: "Oil and gas is strong. Agriculture is strong. We had another good crop this year. Forest products are doing well. The currency is helping. Things are moving in the right direction." The housing market is also picking up. Watt notes the downtown condo boom that defines the Toronto and Vancouver markets is coming to Edmonton. “The surplus in housing will be lower next year. Rental rates will go up after that,” says Watt. “[But] homes are still affordable in Calgary, more than affordable in Edmonton," he says. No wonder Economic migrants from across Canada are flocking to the province. "A lot of people, 22-to-40 years old, are coming into the province. Lots of young families. This is a population that is historically well-educated," says Watt. "The whole province is doing well, from Grand Prairie, to Fort McMurray. Auto sales are through the roof"